Where has the time gone? One blink of eye and it’s only 2 days to the start of Ramadhan. I had the pleasure to attend 2 Ramadhan buffet previews this year and coincidentally both belonged to my favourite hotel group: Starwood. 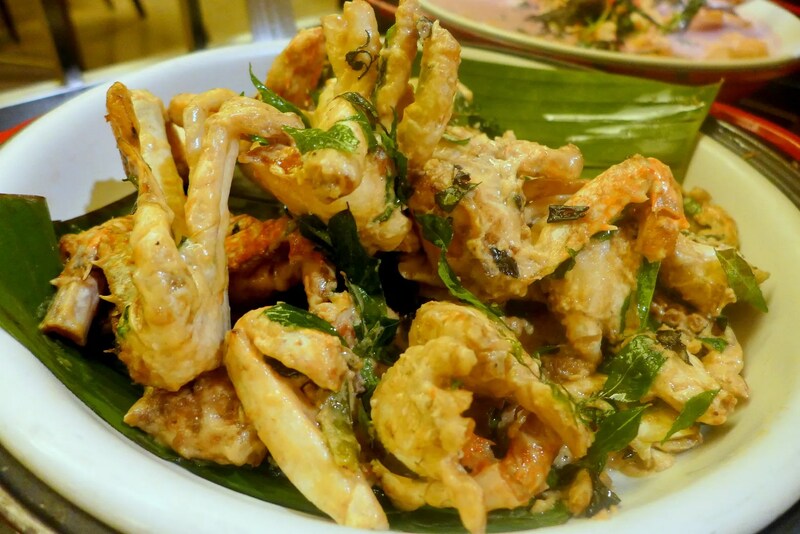 The first one was Latest Recipe @ Le Meridien, and that would be our very first time visiting this restaurant. This year, Latest Recipe is featuring Celebrity Chef Zubie (you might recognise him as the judge on Masterchef Malaysia) and his philosophy is to stay traditional, ala “Kampong” style. 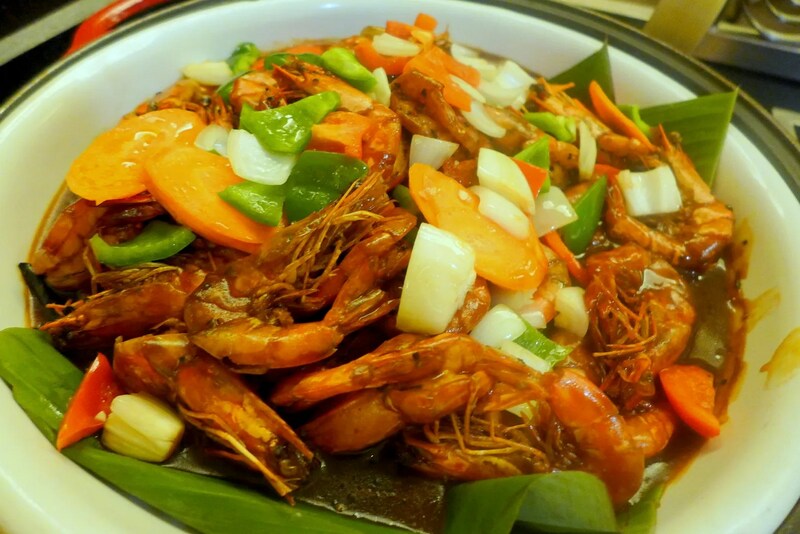 “It is essential that this time of the year my cooking remains traditional as much as possible as diners look forward to familiar taste that reminisce their mother’s home cooked food. 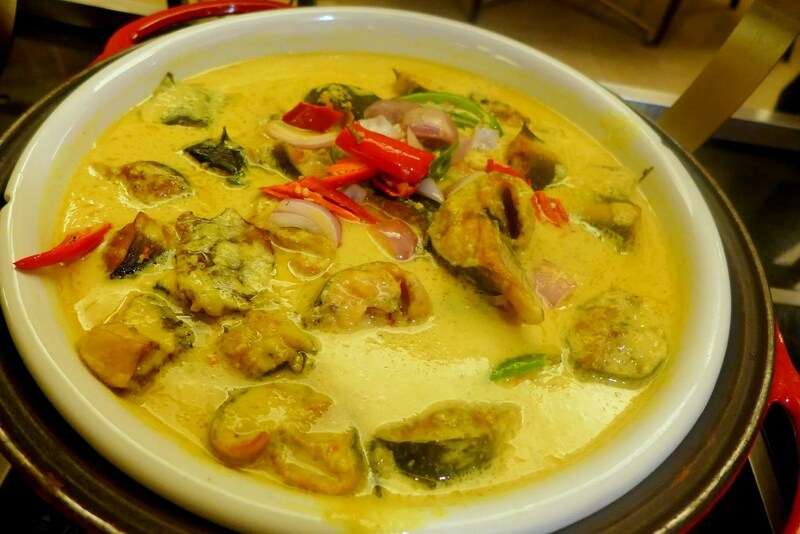 A must-try is the Ayam Masak Gulai Merah Lengkuas and Masak Lemak Cili Padi Daging Salai Bersama Rebung”, said Chef Zubir. 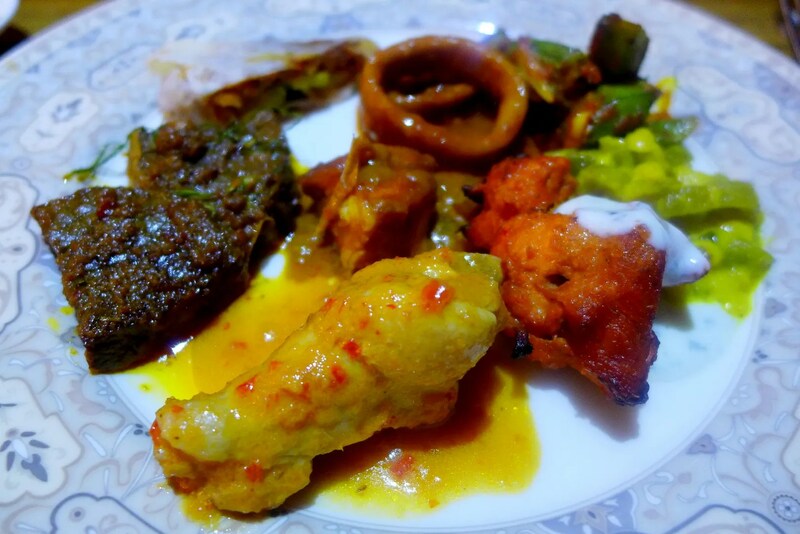 There will be traditional dishes from various regions of the Peninsula Malaysia, including Kedah, Kelantan, Perak, Penang, Negeri Sembilan and Johor. The Malay Kerabu station has plenty of interesting choices including local vegetable salads, spring roll, fruit acar, prawn fritters and more. Of those, I really enjoyed that Nasi Ulam. 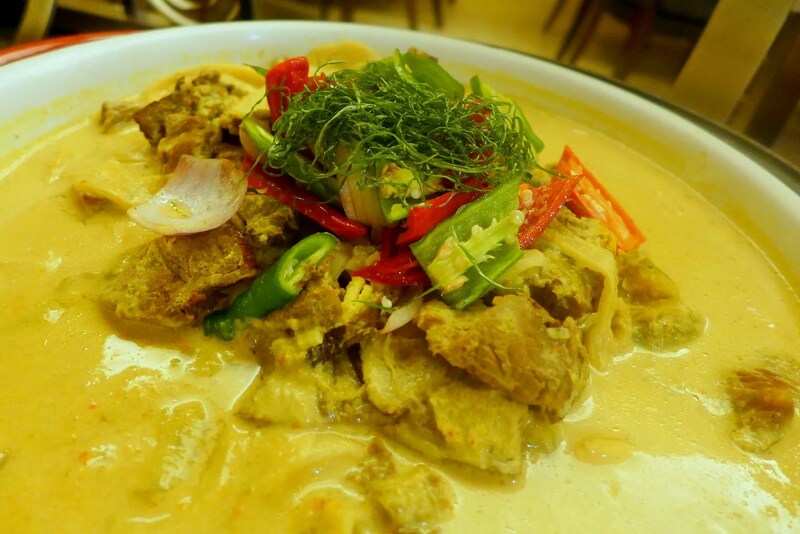 Of course, there will your usual celebrated Malaysian dishes such as hot dishes such as Rendang Pulau Jave Daun Salam, Kambing Masak Rempah Jintan Manis, Ikan Keli Salai Masak Tempoyak Cili Burung, Ayam Panggang Berempah dengan sos santan berhalba, Udang Goreng Pedas Lada Hitam Cili Kering, Ketam Masak Sos Krim Daun Curry and Bayam Masak Merah Dengan Tauhu Goreng. Pictures below. 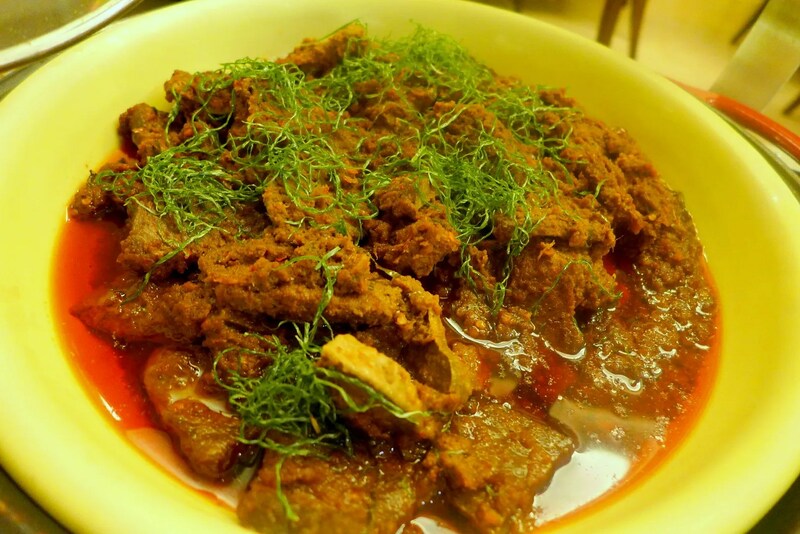 Mmmm Rendang! It’s a must-have. Cat Fish with Tempoyak (Fermented Durian), this one is for the brave souls. I didn’t dare to touch. 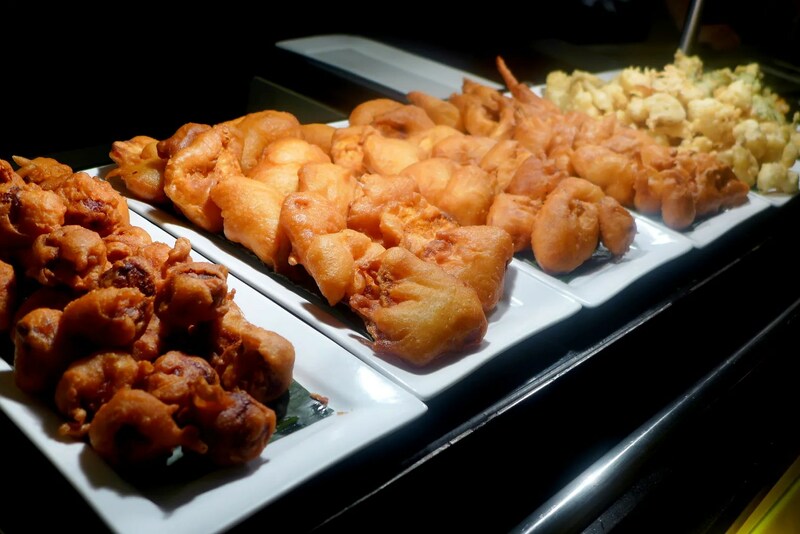 Then, move on to live goreng goreng corner which highlights Malaysian snacks such as Pisang Goreng, Cempedak Goreng, Ubi Kayu Goreng, Ubi Keledek Goreng and more. I couldn’t resist the Cempedak and it’s really aromatic! 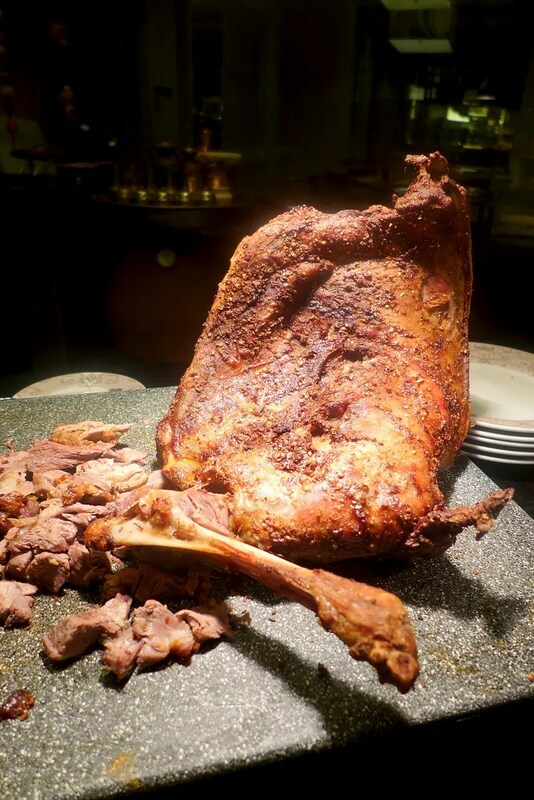 Roast lamb is quite common in Ramadhan buffet and here the baby lamb is marinated in Arabic spices. Not much to look at but sure was popular! There will be a special dish of the day rotating daily, which includes Balinese Baked Fish, Slow Roasted turkey Galantine with Fruit Chutney, Wok Fried Seafood with Spicy Chili Bean Sauce, Roasted Chicken with Kuzi Gravy Stuffed with Mix Nuts and Portuguese Style Baked Fish amongst others. 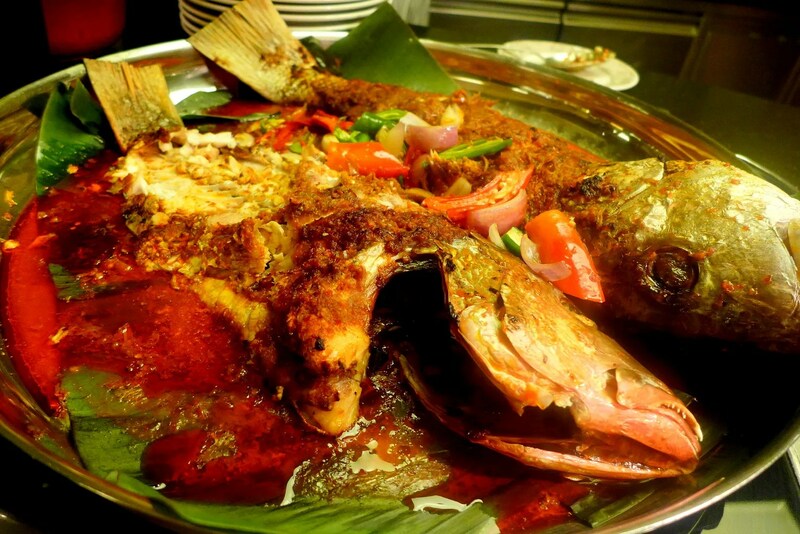 We had the Balinese Baked Fish. 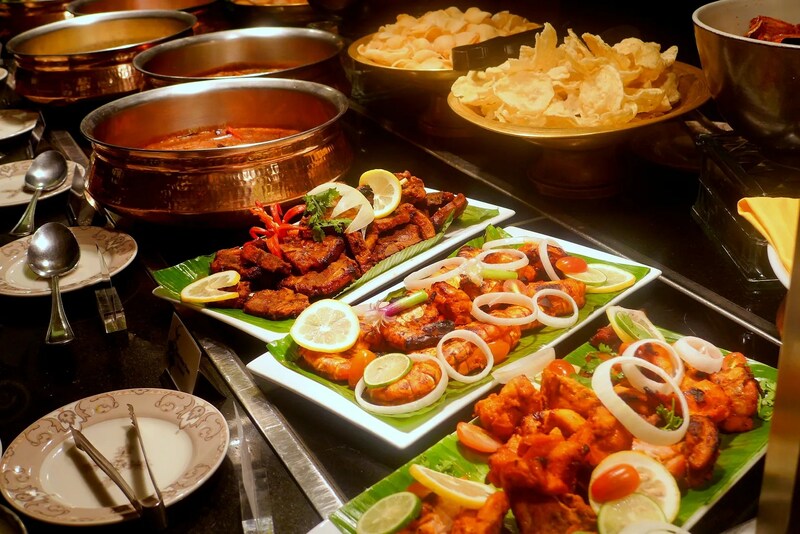 There are also other cuisines, including an impressive spread of Indian curries and Tandoori items. 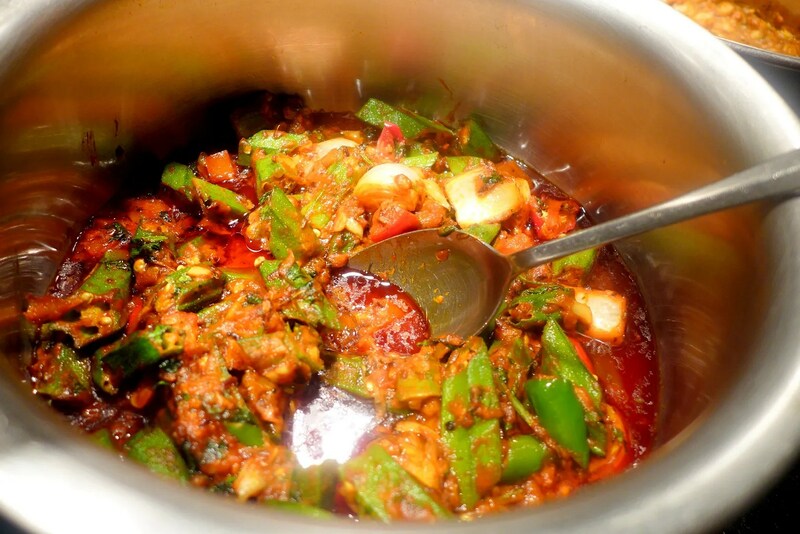 My favourite would have to be the Bhindi Masala, while, Frank of course frantically attacked all the vegetarian curries until there was little left at the station but crumbs. Chicken, Prawns, Lamb, Fish, make your choice or take all of them! 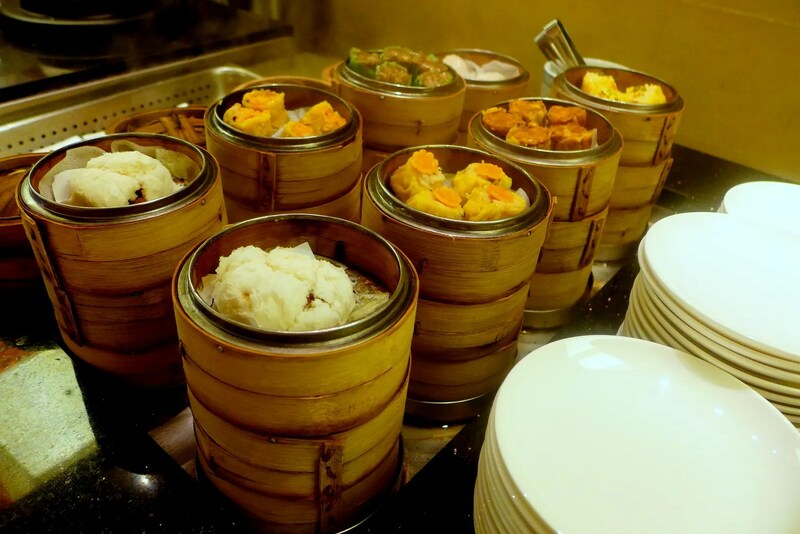 The Chinese Station features a selection of Dim Sum and also noodles dishes. Too full to touch these! While the Japanese station offers my favourite thing: Sashimi; as well as some teppanyaki items. Will never get sick of these. 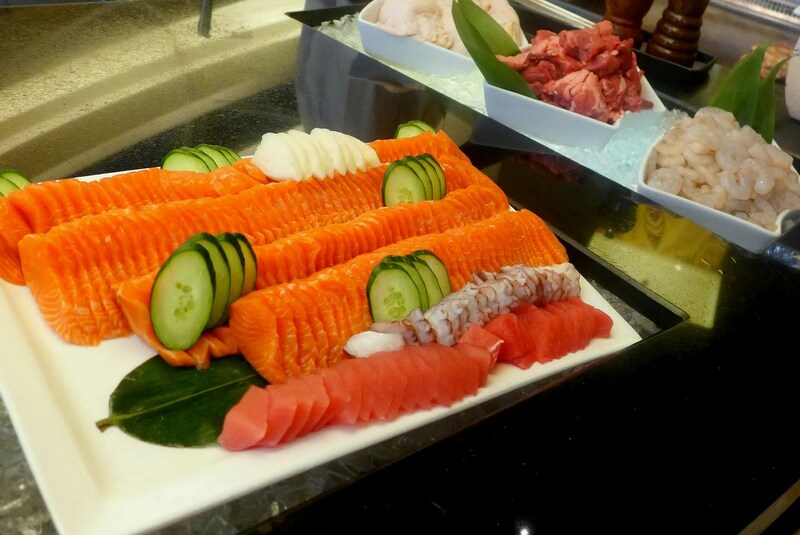 But of course, the most important thing at a buffet is to go for the raw seafood first and bonus if there are oysters. These made me a very happy girl, I tell you. My second plate featuring all the celebrated Malaysian dishes. I stopped at 3 (third was Indian, I think. 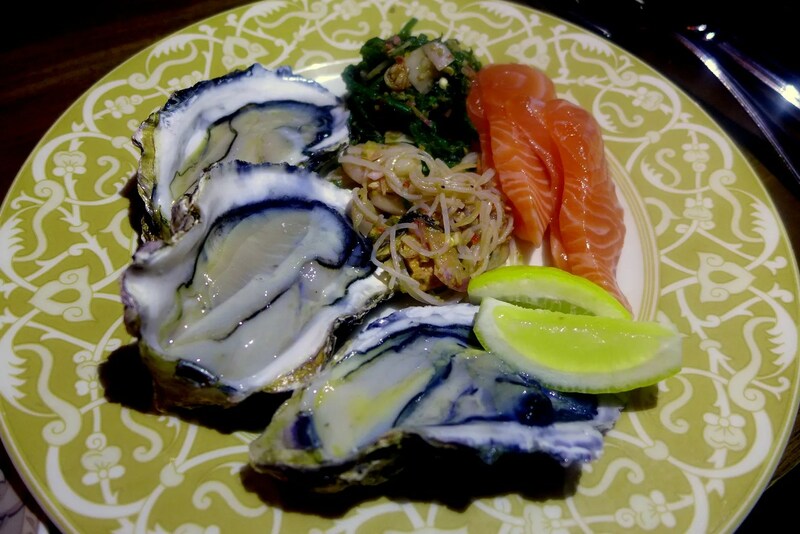 And perhaps more Oysters and Sashimi), so didn’t get to try the dessert. 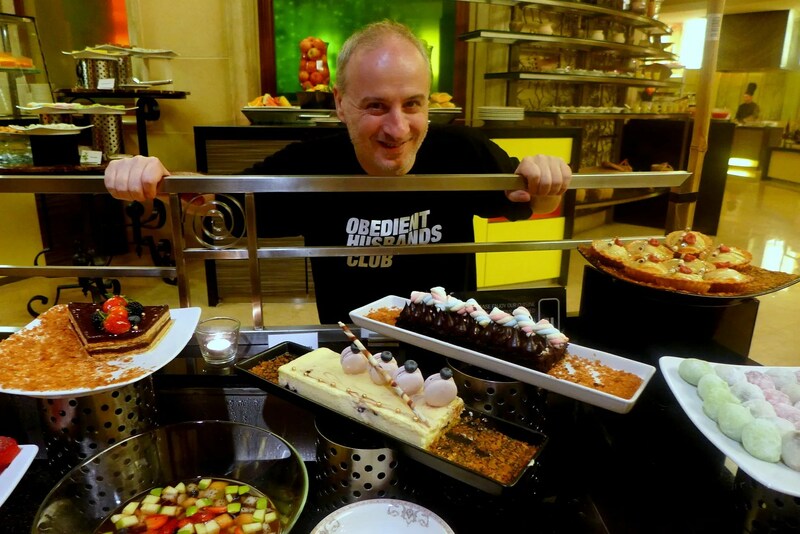 Here are the photos though, featuring the Sweet Tooth Monster, who inhaled everything on the Desert Station, without fear or favour. 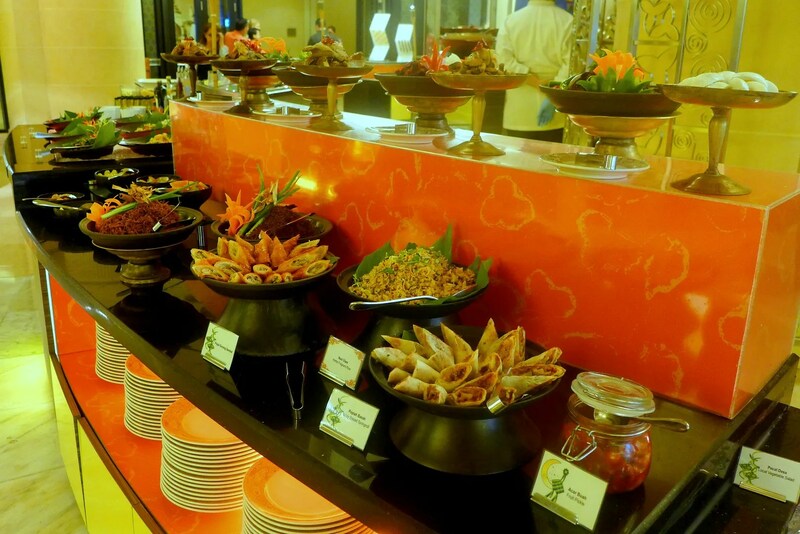 The buffet dinner is available at the Latest Recipe, from 29th June to 27th July 2014, priced at RM138++ per person (inclusive of free flow date juice, sirap bandung, sugar cane juice and soya bean milk), Monday to Friday, RM128++ per person on Saturday and Sunday. Children between 4-12 are entitled a 50% discount. A discount of 50% is applicable to senior citizens on Saturday and Sunday. SPG members will receive a 20% off the total food bill.